Each year, the UM System President’s Awards are presented on behalf of President Mun Choi to faculty members across the four campuses of the UM System. These highly competitive awards recognize faculty who have made exceptional contributions in advancing the mission of the University. From April to November, President’s Award recipients will be recognized at the Board of Curators meeting on their university campus, as well as at a faculty awards event hosted at each campus. This year’s twelve awardees are profiled below. Professor Trachtenberg provided exemplary faculty leadership during particularly difficult times while serving as chair of the MU Faculty Council from 2015 to 2017. As chair, he displayed grace under tremendous pressure and forthrightly articulated faculty positions on sensitive issues. He has a well-deserved national reputation for collaborative, ethical and farsighted leadership and an extensive publication record related to university leadership, including “The 2015 University of Missouri Protests and their Lessons for Higher Education Policy and Administration” and “The Complexities of Shared Governance and Freedom of Speech.” As well as deep knowledge of theory, Professor Trachtenberg has robust practical experience. 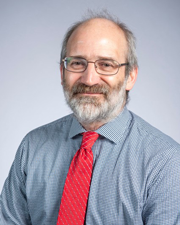 In addition to his time as Faculty Council Chair, he has served as faculty advisor to several student organizations and participates on a number of faculty committees, including chairing the Mark Twain Fellowship Committee. His institutional service is balanced with productive research and excellent teaching, as evidenced by multiple teaching awards and his nationally recognized writings. His national reputation for leadership in higher education is a testament to his exemplary service since his arrival at Mizzou. The dedication and talent of Professor Mark Fitch have been critical to the long-term health and success of Missouri S&T’s Civil, Architectural and Environment Engineering Department. As assistant chair of the Environmental Engineering B.S. program, he is outspoken on what is best for the students and campus in the long run. He does not simply organize engagement and recruiting events, he demonstrates complete commitment to the daily and weekly efforts required to follow up on promises made. Just a few of his many accomplishments include helping guide the Missouri S&T campus through the Higher Learning Commission accreditation process, serving as advisor to the Engineers Without Borders student chapter for their international projects, and dedicating enormous energy and time into a 4-year rotation as an officer of the UM System Faculty Senate. “Most will never know the effort Mark put forth, nor will they realize the great campus benefit of his even-tempered, honest, and unwavering leadership.,” said Dr. Joel G. Burken, Chair and Curators’ Professor of Civil, Architectural and Environmental Engineering at Missouri S&T. Dr. Fitch’s dedicated service to the university has made major impact at his home campus, across the UM System and internationally. 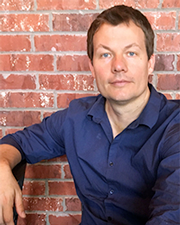 Within the MU Division of Biological Sciences, Professor Johannes Schul has been instrumental in overhauling undergraduate curriculum to focus on two fundamental challenges facing the biological sciences: 1) teaching students to think integratively across biological levels and 2) recruiting and retaining students from diverse backgrounds. He has achieved this by restructuring courses around big stories that emphasize the connections between molecules, evolution and ecology, as well as taking additional innovative steps to foster inclusiveness in the classroom. Diversity in science is an important part of his courses, which include open and active discussion of how science is a social endeavor that is improved by inclusion of people from all backgrounds and cultures. Dr. Schul is also an agent of culture change beyond the classroom, and his leadership and advocacy helped to secure a highly competitive $1 million Howard Hughes Medical Institute Inclusive Excellence grant. Clearly, Dr. Schul exemplifies a comprehensive idea of inclusive excellence that goes beyond being excellent at including people, and extends to teaching excellently and doing excellent work in a way that facilitates inclusion. 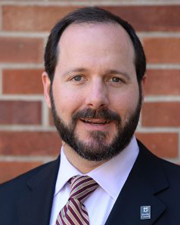 Dr. Winograd has built an outstanding record of collaborative research across the University of Missouri System, as well as with Washington University in St. Louis and Saint Louis University. Her collaborative work with state agency leaders, practitioners, and community stakeholders has laid critical groundwork for research collaborations aiming to develop a model systems of care to mitigate the opioid addiction and overdose crisis in Missouri. Although it typically takes junior faculty five or more years to establish high research productivity, Dr. Winograd is a clear outlier. In just over two years, she has published seven first-author manuscripts and, in collaboration with the Missouri Department of Mental Health, is the project director for over $60 million of external federal grant funds. To carry out her ambitious goals, Dr. Winograd has partnered with a team of top investigators from all four UM System campuses. 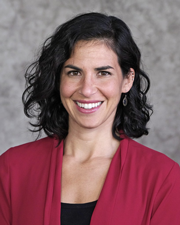 She is playing an active role in the development of the Missouri Center for Addiction Research and Education (MO CARE) and consistently advocates for the inclusion of community healthcare providers and people who use drugs in research conceptualization, implementation, and evaluation. Her collaborative work is literally saving lives by transforming Missouri’s response to the opioid overdose crisis. Professor Bian's career is already one of the most impressive ever witnessed in the MU Department of Physics and Astronomy. Less than 3 years since joining MU and only 6 years after earning his Ph.D., he has achieved what takes many scientists a full career to achieve, in terms of high-impact publications, citations, and overall stature in the community. As well as authoring 58 high-quality research papers at MU, he established the Missouri Integrated Nano-Analysis System (MINAS), a cutting-edge experimental facility that is unique in the United States. 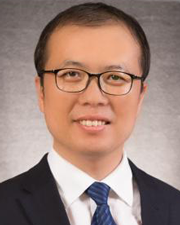 He has also secured two external grants from the National Science Foundation (NSF), which include work on topological superconductors and a project to develop an ultrafast laser platform at MU. He also teaches graduate and undergraduate classes that have received excellent student evaluations. Notably, he has demonstrated a commitment to mentoring the two Ph.D. and 5 undergraduate students currently in his lab, some of whom have already published scientific papers under his guidance. MU is extremely fortunate to have Dr. Bian, not only for his influential research, but for his mentoring of the next generation of scientists. Since joining the MU College of Education in 2012, Professor de Araujo has advanced mathematics education by highlighting critical issues related to teachers’ understanding of curricula and describing ways to enhance mathematics instruction for English Language Learners (ELLs). In her relatively short career, she has amassed more than 50 peer-reviewed publications and successfully obtained funding for 6 external grants totaling more than $3 million. Additionally, she served as a role model for our department in her thoughtful engagement in public scholarship through blogs, podcasts and videos in a way that has the potential to enhance public perception of the university. 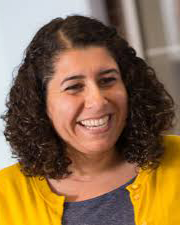 Dr. de Araujo has also been a leader in service and teaching by developing relationships with high-need schools, running professional development sessions, and serving as Co-Director of a state-wide network of school districts, the Missouri Partnership for Educational Renewal. Due to the rapidly growing ELL population in US schools and the achievement gap, Dr. de Araujo’s research is urgently needed. Fortunately, the impact of Dr. de Araujo’s work is already seen in our public schools and her promising research agenda will continue to bridge critical areas in mathematics education. 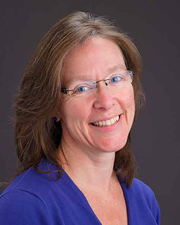 Professor Stacey is a truly outstanding faculty member whose impact is felt throughout the UM System, as well as on national and international stages. He has authored and co-authored 260 peer-reviewed research articles, 79 book chapters, and is currently supported by over $8 million in grants from external funding bodies, including the NSF and NIH. Recently, he was elected a Fellow to the National Academy of Inventors and holds several patents based on his research. He is considered a pioneer in his field, which concerns the mutually beneficial interaction between nitrogen-fixing bacteria and soybeans. His leadership in the research community, including the American Society of Plant Biologists, has immeasurably increased the visibility of plant research in Missouri. His proven track record makes him a highly sought after graduate and post-doctoral mentor. Across the world, he is recognized as a leader and consensus-builder, including his critical work in a collaboration between plant biologists at MU and Gyeongsang National University in Jinju, South Korea. Dr. Stacey's achievements have brought distinction and visibility to the UM System and the state of Missouri. Professor Herman’s highly impactful research has focused on developmental pathways related to depression in youth and the universal and culture-specific precursors to depression. He is a gifted researcher who has produced 118 peer-reviewed journal articles and 4 books. In the last year alone, he was the principal investigator on two research projects totaling $7.5 million in federal grant funding. Dr. Herman is the co-Founder and co-Director of the Missouri Prevention Center (MPC). As co-director of the MPC, he has mentored scores of undergraduate and graduate students, postdoctoral fellows, and faculty members. Under his leadership, the MPC is one of only a handful of institutions that provides intensive and state-of-the-art training in prevention science. Dr. Herman’s research trials have already resulted in the implementation of new practices in scores of schools across the nation. In addition to being one of the most productive scholars in school psychology, his colleagues describe his constructive, balanced, passionate and positive approach to all his endeavors. His work has advanced the University’s mission by extending and applying his scholarly work to large scale projects that aim to help children and families in need. Since joining MU’s Educational Leadership & Policy Analysis Department in 2012, Professor Douglas has tirelessly led community engagement efforts both locally and globally. His work on masculinity exceeds the typical bounds of scholarly research and his service extends to mentoring young males, especially males of color. 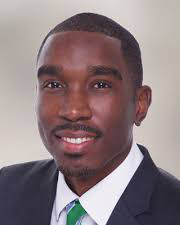 Dr. Douglas’s NCAA-funded research on the experiences of Black male student athletes at MU has been presented at the NFL headquarters and other national platforms. His research informs his many community endeavors, including mentorship at the Moonlight Hoops Basketball program, leading the “Back to School Explosion” at Douglass Park, regular advocacy visits to the local jail, and the Salt Scholars program. In the days after the tragic shooting of Mike Brown, Dr. Douglas took a group of young people to Ferguson, MO to meet community members and provide services where needed. He also participates in the University of Missouri South African Education Program, and developed relationships with primary schools in Cape Town while co-leading a group of MU service-learning students in South Africa. Dr. Douglas is a true advocate who exemplifies what working toward equity in communities and institutions can look like. A citizen of the Cherokee nation, Professor Erb joined the MU Digital Storytelling department in 2016. Though only at MU for three years, his impact on the University has been profound, increasing the diversity of the MU campus experience and helping to recruit Native students. Globally, his work promotes the visibility and inclusion of Native American culture and languages, and brings digital storytelling together with Indigenous perspectives. 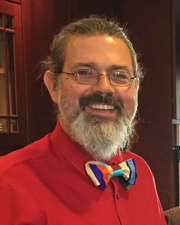 Professor Erb has led major projects with Apple, Google, Facebook and Microsoft to ensure that the Cherokee language is accessible across technological platforms and working so tribal nations are visible on digital maps. His animations in the Cherokee language have been shown at the Smithsonian/National Museum of the American Indian and at Toronto’s ImagineNative festival, the most prominent venue for Indigenous media. Professor Erb is also highly engaged with his students and often described as “singlehandedly” creating cultural awareness programming and advocacy organization for Indigenous students at MU. 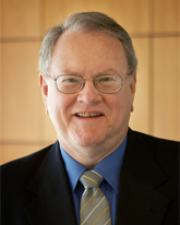 He has established teaching, research, and other cross-campus collaborations. His work fosters diversity, inclusion, and excellence through his digital media innovations. 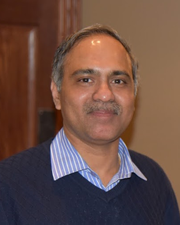 Professor Kannan’s nanoparticle technology research at MU is motivated by the possibility of developing clinical solutions for diseases that cause widespread suffering. His passion and persistence drive the discovery of new technologies into commercial development, with the goal of improving lives and creating economic benefits for Missouri. Dr. Kannan recently founded Oncogen, a startup company aiming to commercialize new types of cancer therapy. Earlier this year, Oncogen licensed one of Dr. Kannan’s patents from MU, which involves a therapy that delivers a “micro dose” of cancer therapy directly to cancerous cells. This therapy approach effectively targets cancerous cells while decreasing the negative side effects of more typical therapies. Oncogen has also collaborated with a major pharmaceutical company that is contracting with MU to perform $5 million of sponsored research in Dr. Kannan’s lab. Dr. Kannan’s innovative and productive research is an inspiration to his faculty colleagues and anticipated to improve healthcare around the globe. Professor Ward’s work led MU to become an internationally recognized center for research on human origins. Co-leading an international team searching for fossils in Kenya, she identified the earliest evidence of a human-like foot, revealed the origin of the modern human hand and improved our understanding of the evolution of human intelligence. Additionally, her research on the evolution of the spine has led to improvements in healthcare. 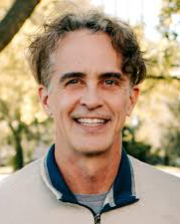 Dr. Ward has published over 80 peer-reviewed manuscripts, including highly-regarded articles in Science, Nature, and the Proceedings of the National Academy of Sciences. She also helped found MU’s Integrative Anatomy research group, which has one of the nation’s best PhD programs. Her commitment to sharing her research and knowledge outside of academia is demonstrated by many appearances in popular media outlets, including National Geographic and the New York Times. In Columbia, she has run or participated in many science outreach programs for schools and the Columbia community. On the global stage, her West Turkana Paleo Project has educated thousands of Kenyans about prehistory and built two new schools in rural Kenya. Dr. Ward exemplifies and inspires the core qualities of the Thomas Jefferson award, such as intellectual questioning, evidence-based decision making, mentorship and good citizenship.